Three-phase power is used almost exclusively for generation, transmission, and distribution, as well as for all industrial uses. It is also used on aircraft, both commercial and military. It has many advantages over single-phase power. The transformer can be made smaller and lighter for the same power handling capability, because the copper and iron are used more effectively. In circuitry, for conversion from AC to DC, the output contains a much lower ripple amplitude, and a higher frequency component, which is 3 times and 6 times the line frequency, and which, in turn, requires less filtering. 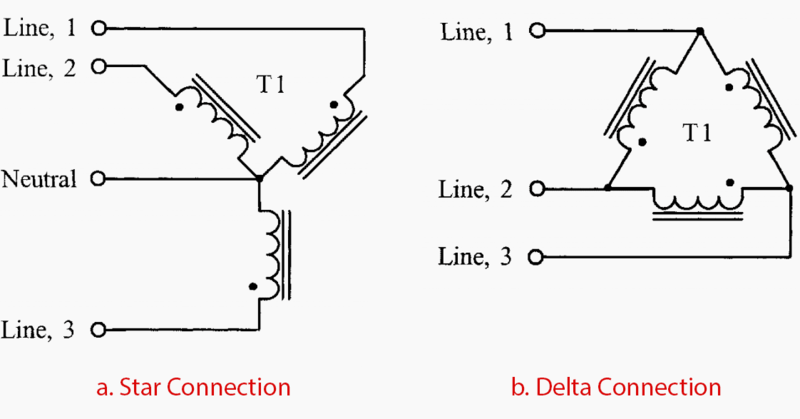 The two most commonly used primary circuits for three-phase transformers are the Star, or Y connection, as shown in Figure 1a, and the other being known as the Delta (A) connection, as shown in Figure 1b. The design requirement for each particular job dictates which method of connection will be used. 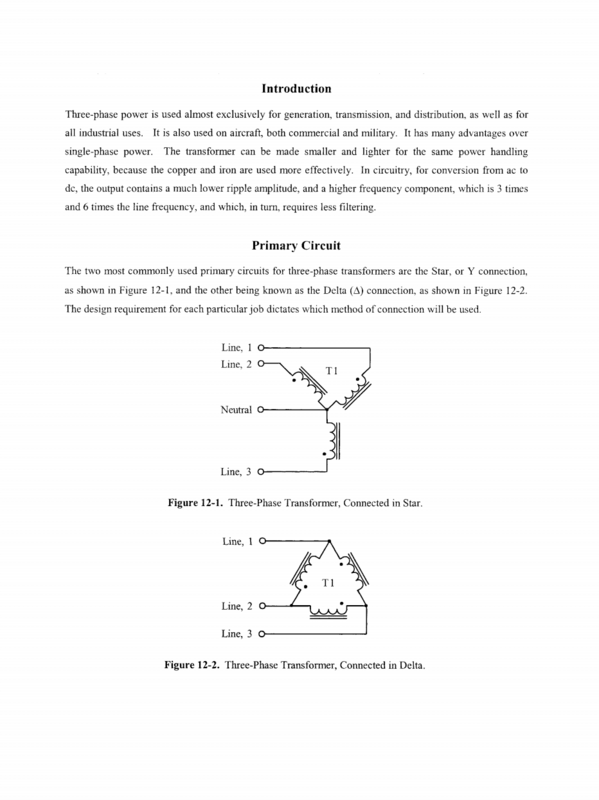 3-phase power source connected in a delta-delta configuration. 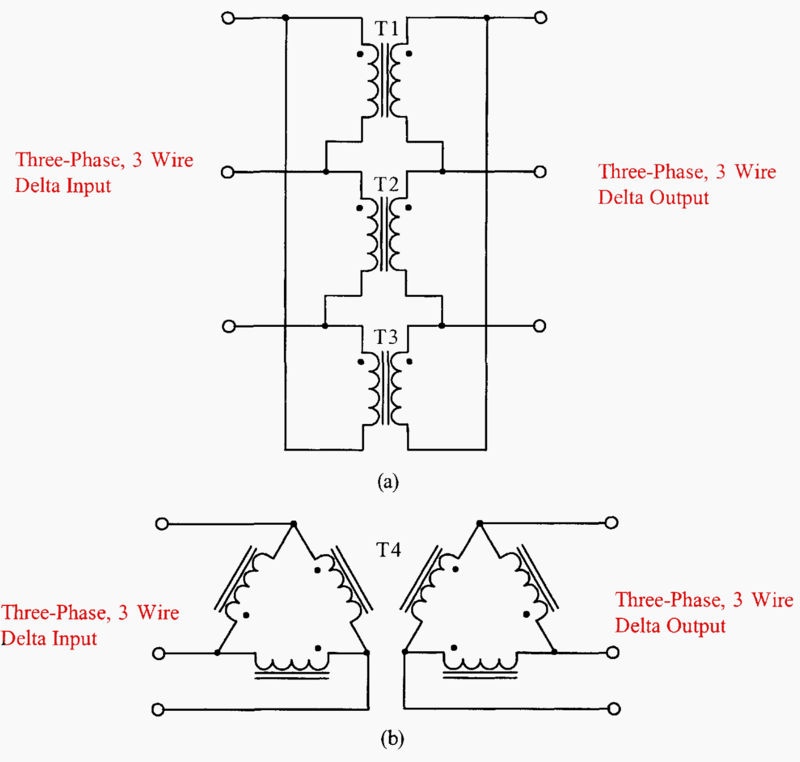 The single three-phase transformer T4, would be lighter and smaller than a bank of three single-phase transformers of the same total rating. 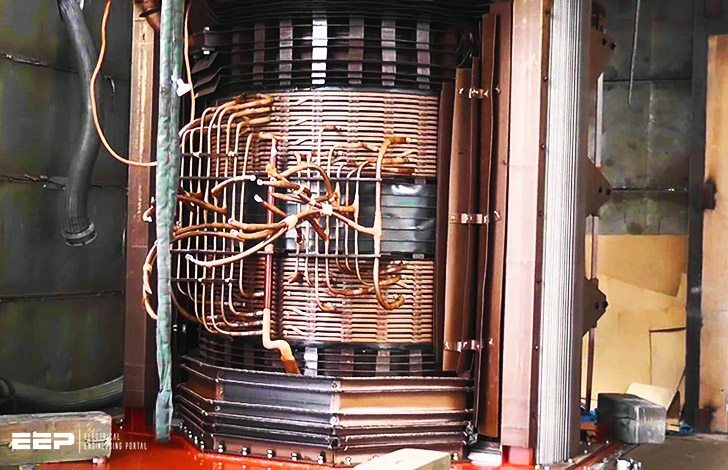 Since the windings of the three-phase transformer are placed on a common magnetic core, rather than on three independent cores, the consolidation results in an appreciable saving in the copper, the core, and the insulating materials.